Gabriel García Márquez, the famed Colombian novelist who died April 17, 2014, played a fascinating cameo role in the story of the Cuban Five. In the spring of 1998, he carried a secret message about a terrorist plot against Cuba from Fidel Castro to Bill Clinton. That session led to an unprecedented sit-down between the FBI and Cuban State Security in Havana in June 1998. And it was those meetings that triggered the events that ultimately led to the arrest of the Cuban Five on September 12, 1998. 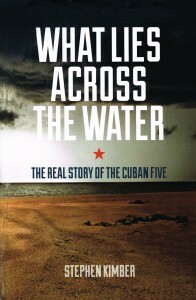 You can learn more about that backstory in this excerpt from What Lies Across the Water: The Real Story of the Cuba Five.